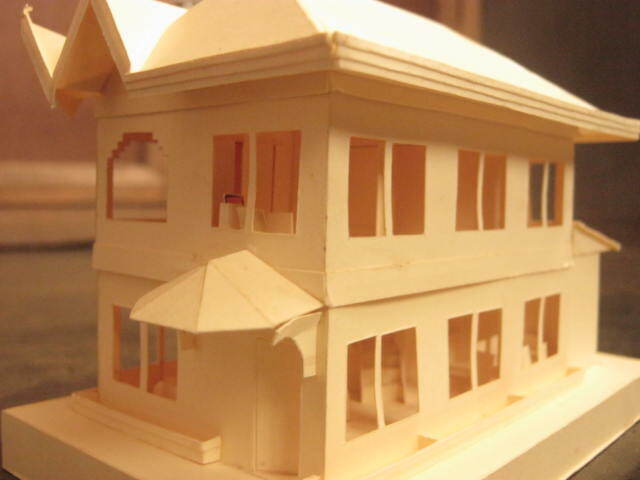 If a house is not a home, then it’s no better than one made of paper. I will ignore the purists who say that one can only deconstruct literary texts or architectural designs. This is so I can deconstruct a text more complex than both. I am referring to anger, and in this case, mine. Anger is a mask of pain. It’s easy to hide pain in fake smiles but it’s much easier to hide it in anger. But why do we hide our pain when it is hidden to start with? We have no wounds or scars to show it and to confront it much less show it is itself a painful process. Why? Because we fear of not being understood. Two years ago, I woke up crying from my sleep and my roommates who heard me asked why. This is what I told them. I was crying in that dream. I don’t know why but my heart was heavy with grief. I was crying until I arrived at our house. When I stepped inside and saw a young man, I felt an anger surge within me causing me to punch him. Then I saw why: my sister’s bulging tummy. There is a belief that we must talk about our nightmares so they won’t come true. This is why I told my roommates, my friends, my aunt and even my sister, about it. Little did I know that the nightmare would later materialize, but with some revisions. I did not cry on my way home. I did not know. I was the last to know. When I learned about it, I was too weak to be angry. I just cried until I lost even the strength at grief. When the young man who was my sister’s boyfriend arrived, I also didn’t have the strength to punch him. Fast forward to the present, I am weakened by all the previously repressed anger inside me. Days ago, my sister—who’s now with her bf-turned-husband—told me to “Move on!” Stung, I was angrier than ever and we were reduced to a shouting match that disturbed the neighborhood’s peace. How could she, who had hurt me so many times, have the nerve to tell me to move on. You don’t tell the pedestrian you have crippled with your car to move on. You have to pay the damages. The same goes with me. You have to deal with my anger and silent treatment. You have to wait until I heal. I’m angry because of what her pregnancy implied: that she never really cared for our family. Because if she does then she wouldn’t have acted selfishly knowing ahead my plans of quitting work when I got too sick. She wouldn’t have done it when she knows my brothers and I needed her. In short, I’m angry that she left me helpless. This fear (of helplessness) is what you get from losing both parents. I’m angry that I can no longer trust her. But at the same time, I’m angry that I have failed in taking care of her. Yes, much of my anger is directed towards me. I should’ve listened more, burned the phones more, or shared all my difficulties so she wouldn’t have thought everything’s easy for me. I should have given more of my time. I’d always thought I’ve given them all my time. After all, I’m the one working, and am I not giving them time when I give them my money? There’s an opportunity cost for time. When I juggled jobs, didn’t it mean I cared for their needs? I’m angry that I had deprived myself of my own time. After losing both parents at the age of 21, I had planned to start my life after my siblings finish school and get jobs; that is, when I’m 28. I had deprived myself so they could have enough, but even then they still feel I don’t care. I’m angry because my sister had demanded so much the sacrifices she can’t give or do. But at the same time, I’m angry that I still care for her, that I can’t do anything to help her now that she needs me. I’m angry that I blame myself. I’m angry that I’m angry. In truth, I’m angry that I can’t move on from these conflicting emotions. I’m angry that nobody understands. Now I’m getting too weak at being angry. Anger may be an easy mask of pain but it’s also an expensive purchase of time. I guess it’s time to take this off.